Writing is not just about the extraordinary moments. It’s about making the ordinary moments extraordinary. Writing is like cooking. You don’t want to become a recipe collector. You want to cook. Some writers win and some writers lose. But writing is never about the race. A boring life need not create a boring writer nor an interesting life a cool one. Nothing is good or bad but writing makes it so. More nuggets as they strike me on my Facebook page! Great observation! I love #2! I love this. I actually have in the title of my own blog–“A blog about ordinary life told in extraordinary fashion!” You nailed it! I like your thoughts on writing. The second one really strikes me. It is more fun to cook/write than to sit on the sidelines watching someone else do it instead. You are so right! I’m a cook and a writer and the analogy is perfect. I’m always excited when unlike things can be compared so perfectly. Thanks. Number 1 is particularly true. The first point is so important, but also one of my personal biggest challenges with writing. It takes a certain flair to truly make the mundane something exceptional and entertaining. yes, making the mundane extraordinary is hard. and a 🙂 to the P.S. So…in response to #1, writing really is about the extraordinary moments, since even the ordinary moments are to be extraordinary? 🙂 I totally get what you mean, but had to comment on your word choice. I love how using the same word twice can often lead in two different directions, depending both on reader and context. Also, to say “nothing” is good or bad, seems somewhat ignorant of reality. We all experience things daily that we would mark as good or bad, even without the need for them to be written (universally sometimes). Care to elaborate? I read this from a philosophy of life perspective. Were you stating it from a strictly philosophy of writing perspective? I guess what I meant in that point has been better described by another witty dramatist: “”There is no such thing as a moral or immoral book. Books are either well written or badly written. That is all.” Oscar Wilde. I don’t really believe that books have no relation to ethics all the way but Wilde’s wit fascinates me always. And I always enjoy reading books that are well written even though I may not agree with their ethics or ideology. I love the Shakespeare misquote in #5.
how appropriate is it to read this during lunch…. I agree with Dave Higgins! I kept thinking about food! But seriously, a good post! This is so, so true. I love sifting through moments that I want to write about. It’s always for me about what is touching. If it gives me pause – a gasp, a clutch in my throat – then I want to write about it. My complete goal is to convey that in a way that touches other people. The hardest thing I ever wrote was the story about the death of my 5-year-old son. I am proud that I was able to do that, and at the same time it was so cathartic for me. Great post! Thank you for your reply. I have chosen to look at my loss at something that completely changed the direction of my life. As much as it was a dreadful horror to have lived through it, I have come out the other end with gifts to share my heart. My son has never left me! Delightful! Thanks so much for the analogy of cooking/writing. 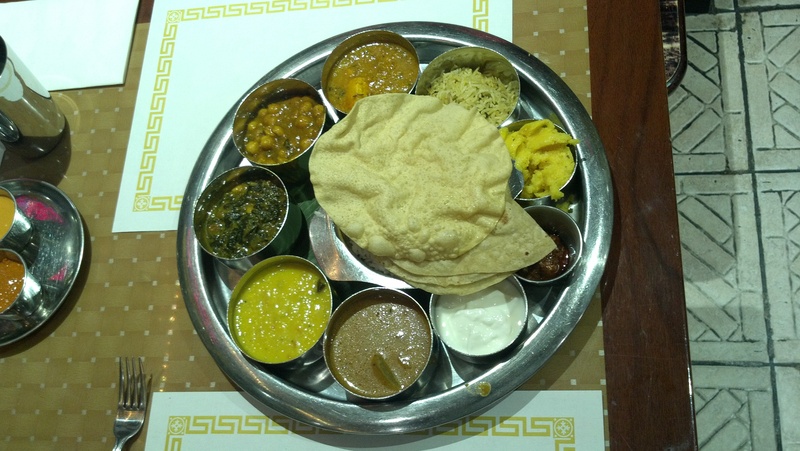 You cannot open with a thali then expect people to read on; put it at the end so they can muse on your post while they seek out food. That’s a good thought. Especially true right before lunch.